This training provides an update on the management of medical emergencies that may be encountered in dental practice using a variety of scenarios. Chris Dickinson has worked for over 20 years in special care dentistry in both primary and secondary care settings. He currently works here as a consultant in special care dentistry. He is also an honorary senior specialist clinical teacher for King’s College London Dental Institute (KCL). Chris teaches and examines KCL undergraduates and postgraduates in restorative, sedation and special care dentistry topics. He is the course organiser for the year 5 undergraduate sedation course at Guy’s. He is also the clinical infection control lead for the dental hospitals at Guy’s and St Thomas’. 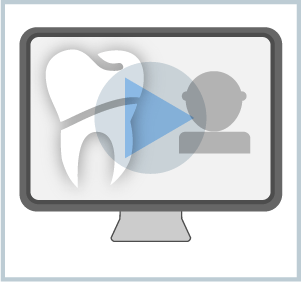 He is a module assessor/tutor in special care dentistry for the distance learning MClinDent in prosthodontics at KCL. Chris has taught special care dentistry, sedation, infection control, BLS and medical emergencies in dentistry for a number of organisations, including: ORE, MJDF, local deanery and postgraduate specialist groups. He is the past assistant secretary to BSDH and treasurer/membership secretary of DSTG. He is a presiding examiner for the NEBDN dental sedation nursing post-certification qualification and has sat on the DSN committee. He is a member of the SAAD teaching faculty. Before becoming a consultant at Guy’s, Chris spent 13 years in community dental practice starting as a dental officer with Camden and Islington CDS and ending as Deputy Clinical Director (DCD) of Merton, Sutton and Wandsworth CDS. As an SDO and DCD in the latter PCT he set up the restorative, domiciliary service for elderly, homebound, medically compromised and learning disabled adults in the 3 boroughs. This involved outpatient day case general anaesthetic and sedation service provision. During this time he sat on the JNF of CCCDS and was involved in some of the initial working groups with Janice Fiske and Marcus Woofe when special care dentistry, as a specialty, was first proposed.